If you didn’t know yet, Sword Art Online is going to have another anime this coming Summer. 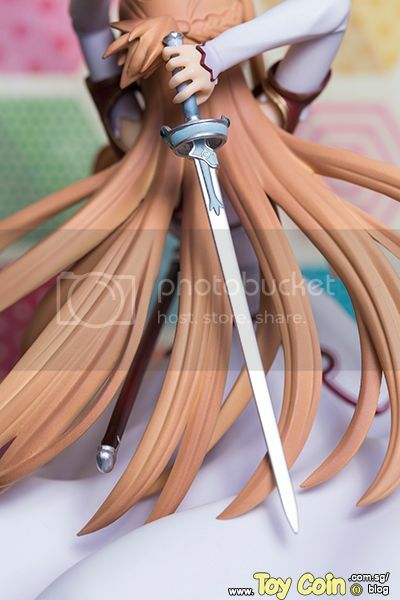 With that in mind, there’s no stopping the manufacturers from producing figures of the characters. It seems like they are on a rampage. 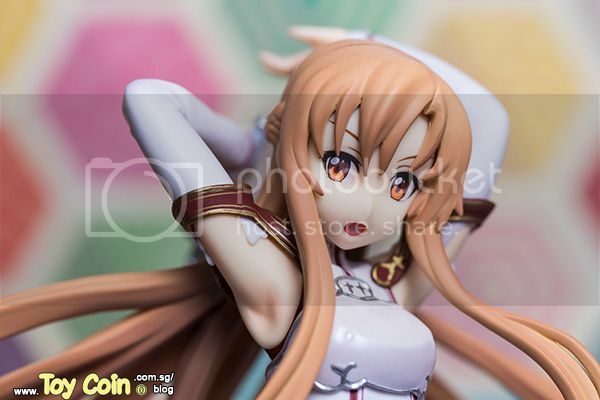 To date we already have more than fifteen scaled Asuna figures, made by various famous manufacturers. Which one is your favourite so far? 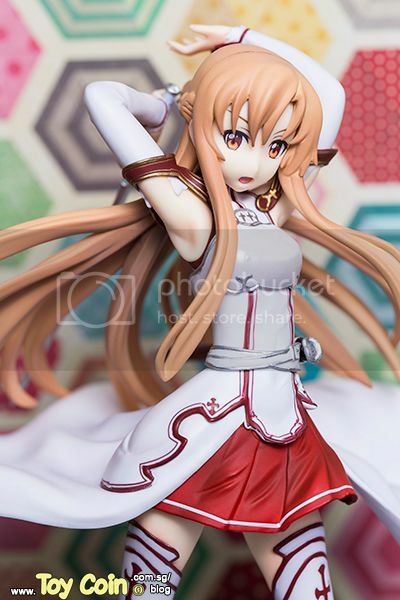 I personally like VOLK’s Asuna, which unfortunately belongs to the line of Charagumin. I’m pretty glad that despite that, it didn’t stop people from purchasing her. We had quite a number of orders! 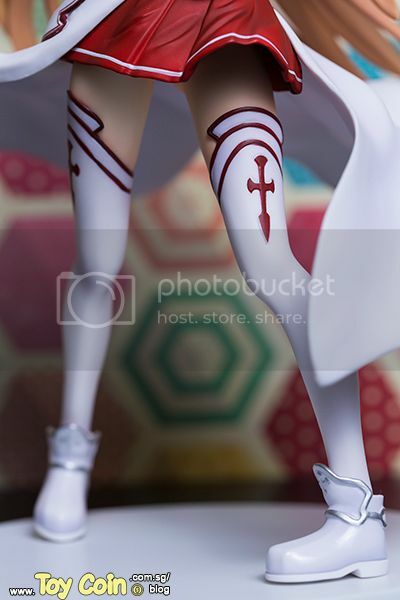 Hopefully someone will allow me to snap a few photographs of her when Hobby Kulture is done with the commissioned ones! 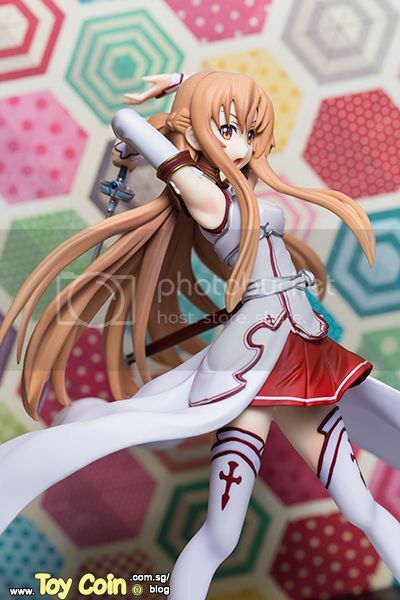 We are going to look at FREEing’s Asuna today, so if your favourite is this figure, you are in for a treat! Now less talking, let us move on to the pictures! With so many Asunas being made, there are bound to be comparisons between them. 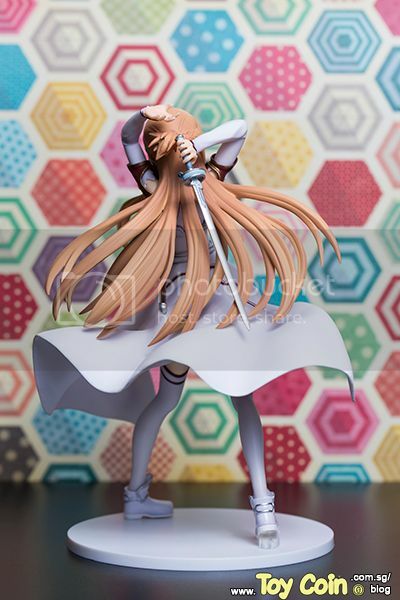 The poses, colours, and details all played a part in finding the best Asuna there is. The painting wasn’t fantastic, however, I do like this shade of red. 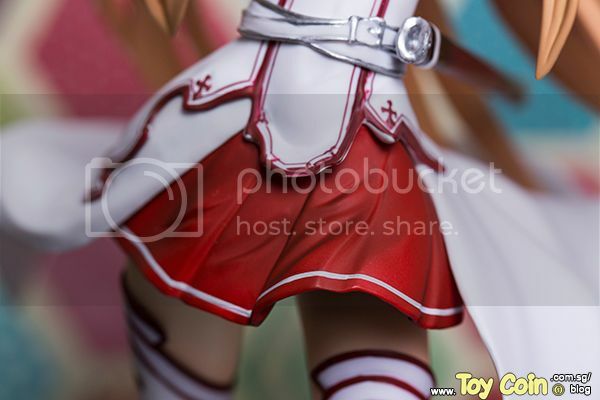 The creases along the skirt does make her look like she’s turning to her left to pose her sword. There you go. Better view of the creases. I like floating pieces of cloth. More dynamic. I love her stockings! There is something about white stockings that appeals to me. 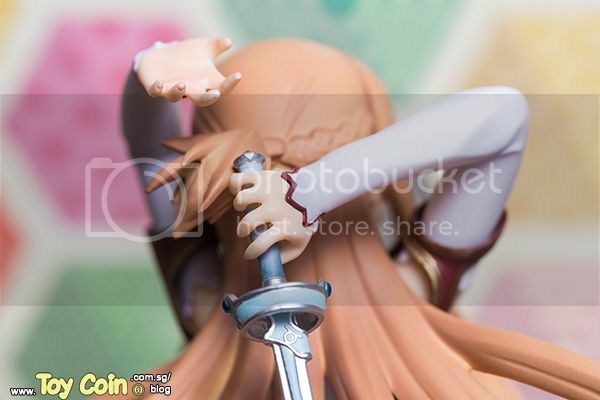 You can’t really see it here but the way she grab her sword is a little weird. If you have a chance to look at her, you will realise that her fingers are not touching the handle at all and it’s attached onto her palm itself. A simple, nice base that is matching with her shoes and stocking. 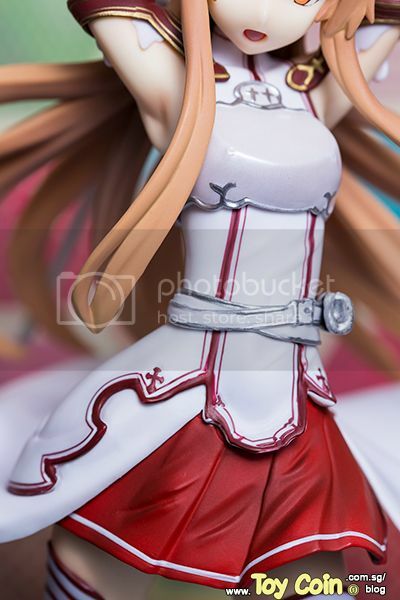 That’s it for Asuna! I didn’t order any extras for her, so she’s basically sold out at ToyCoin. 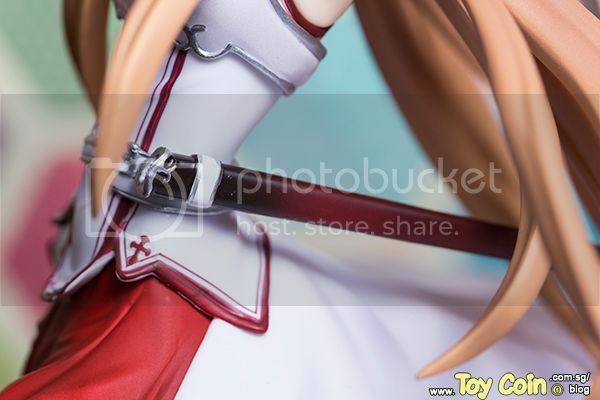 Since I had reviewed FREEing’s Asuna, I will be reviewing FREEing’s Silica as well. Jerry was kind enough to lend them to me for pictures. 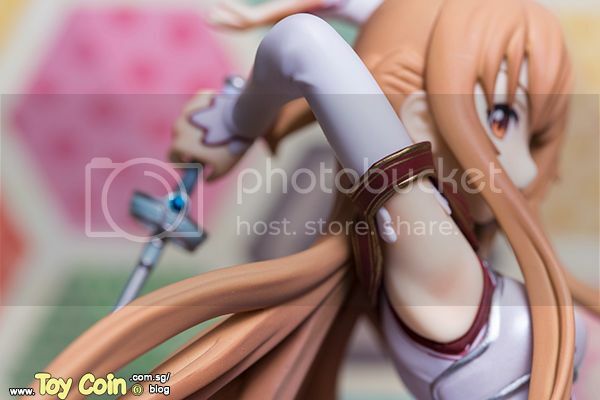 Now I’m more excited for Silica because SHE’S THE ONLY SILICA SCALED FIGURE BEING MADE SO FAR. 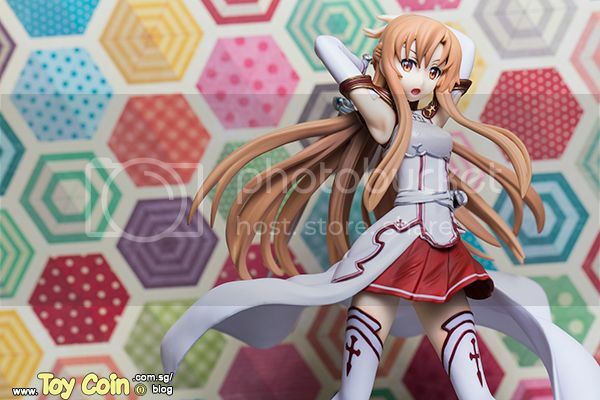 They are going to be a matching set so for those who have ordered Asuna, you definitely have to get Silica. 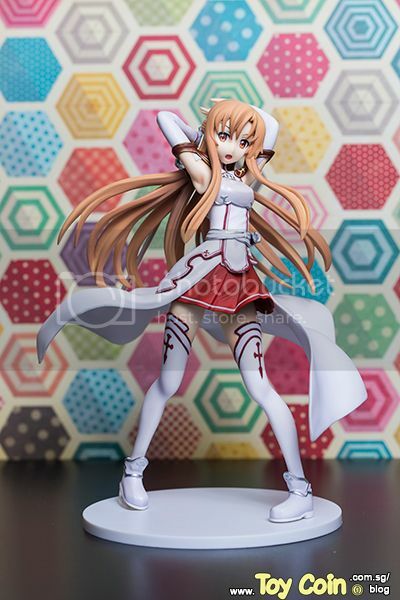 Someone should really make a Kirito soon, why isn’t there any Kiritos being made seriously!? Oh well. 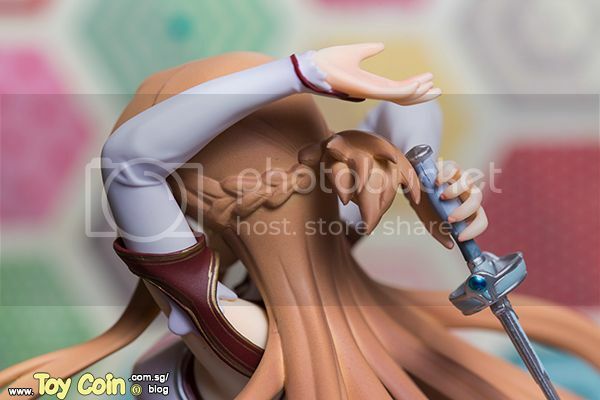 See you next week for the next figure!